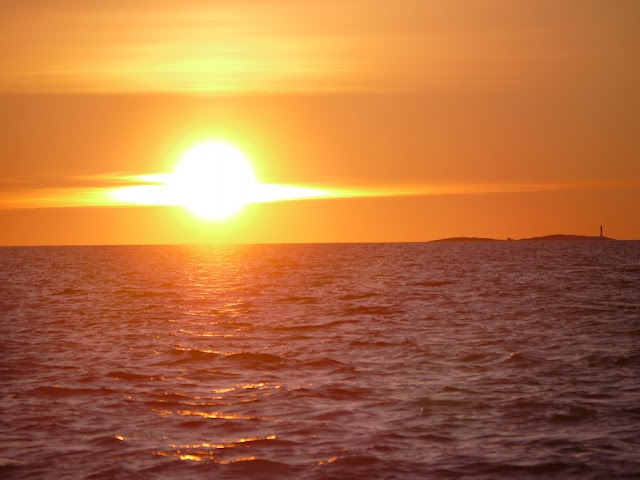 Last weekend, we started on Saturday afternoon from Kustavi, where we had left Dolphin Dance five days earlier. 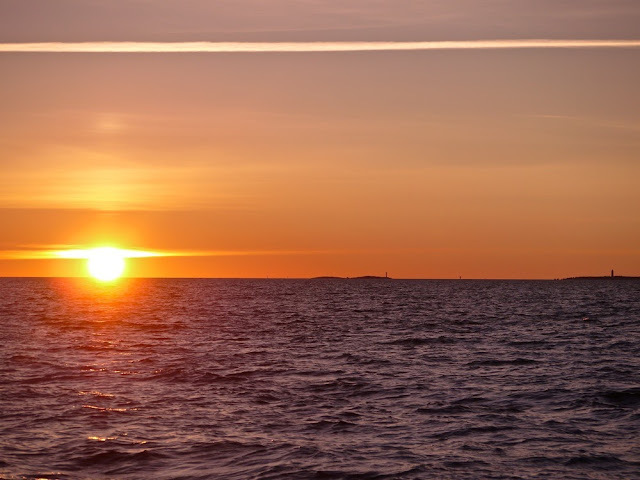 We were expecting calm weather for most of the day, but northwesterly wind picked up during the afternoon and was blowing steady 4–6 m/s, when we cast off from Kustavi. We were initially planning to sail to Isokari island for the evening, but beating into the headwind would have made the arrival time to Isokari a bit too late, especially as we had to cast off early on the following morning. 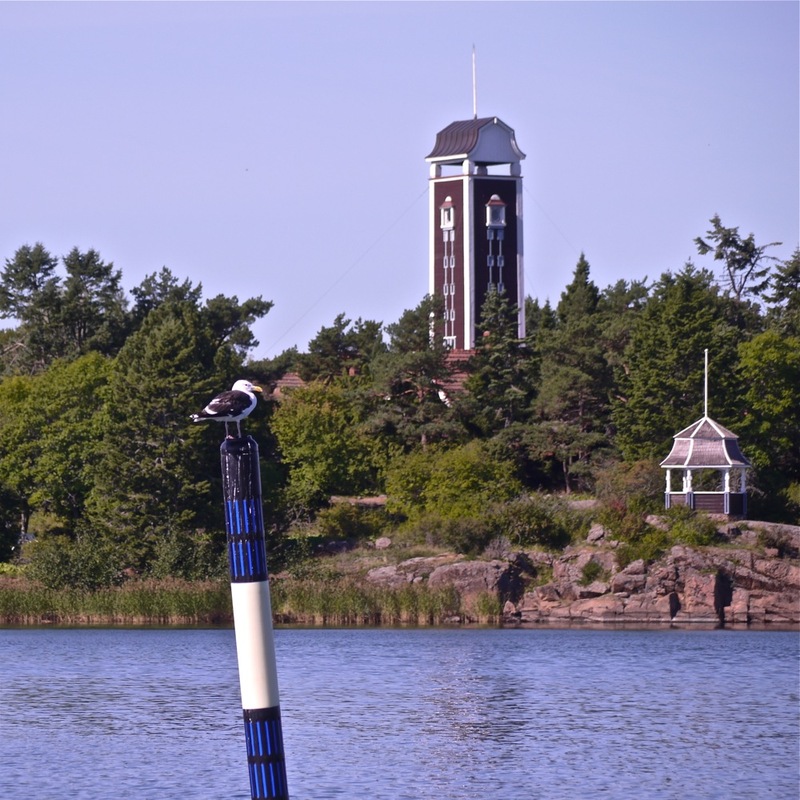 Thus, we decided to take an advantage of the wind, and took a course to Uusikaupunki instead. 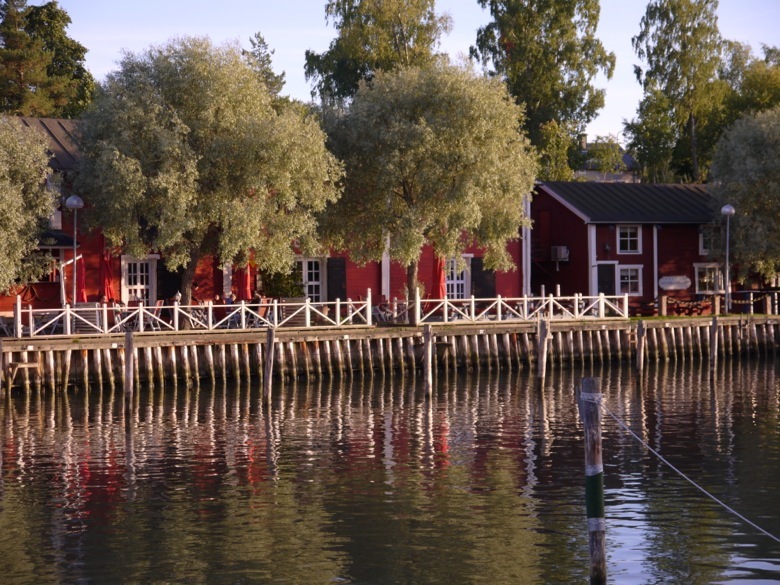 On Sunday morning, it was time to continue back home, but we made an extended lunch and sauna break in the cottage in Kustavi, before doing so. 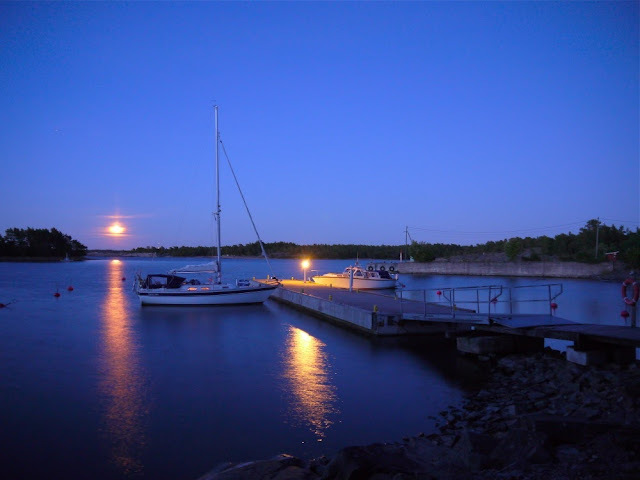 For the Sunday evening we continued to Katanpää, which is an old fortress and harbour in northern Kustavi. For Minna this was her first visit to this place with very interesting history. 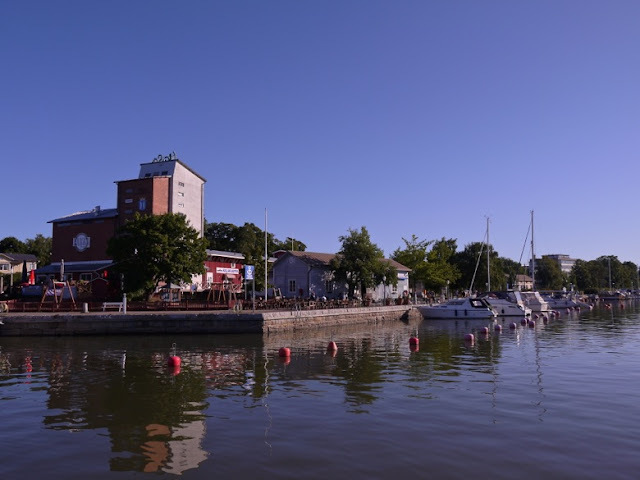 My previous visit to Katanpää was about one year ago, when sailing also from Kustavi to Turku. The wind conditions were pretty similar to Saturday evening, so we got a nice evening sail to Katanpää where we arrived around 10 o'clock in the evening. 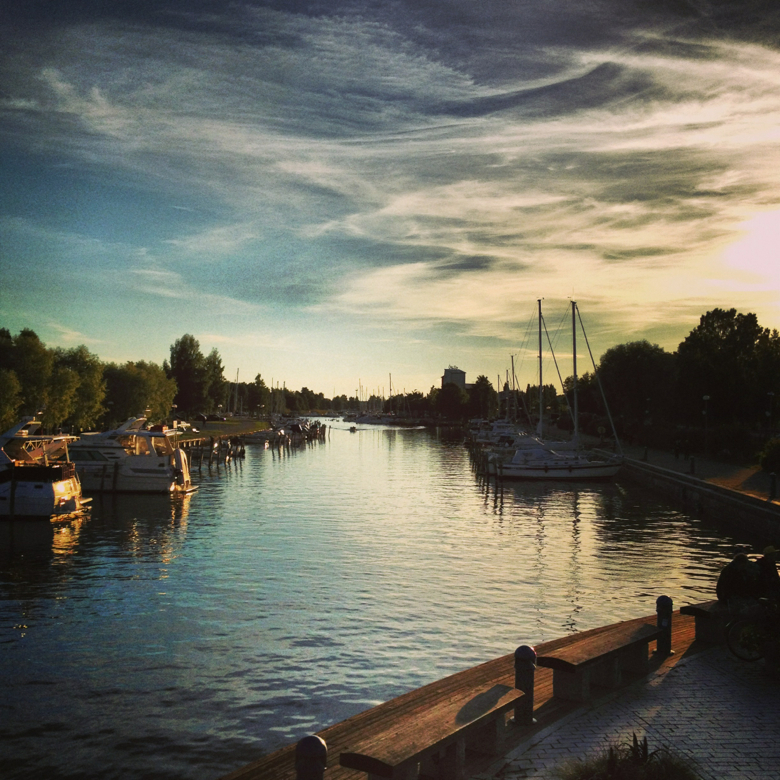 Quiet Sunday evening in Katanpää. In the following morning, we walked to the old sea control tower in Katanpää, which gives great views over to the southern Sea of Bothnia. 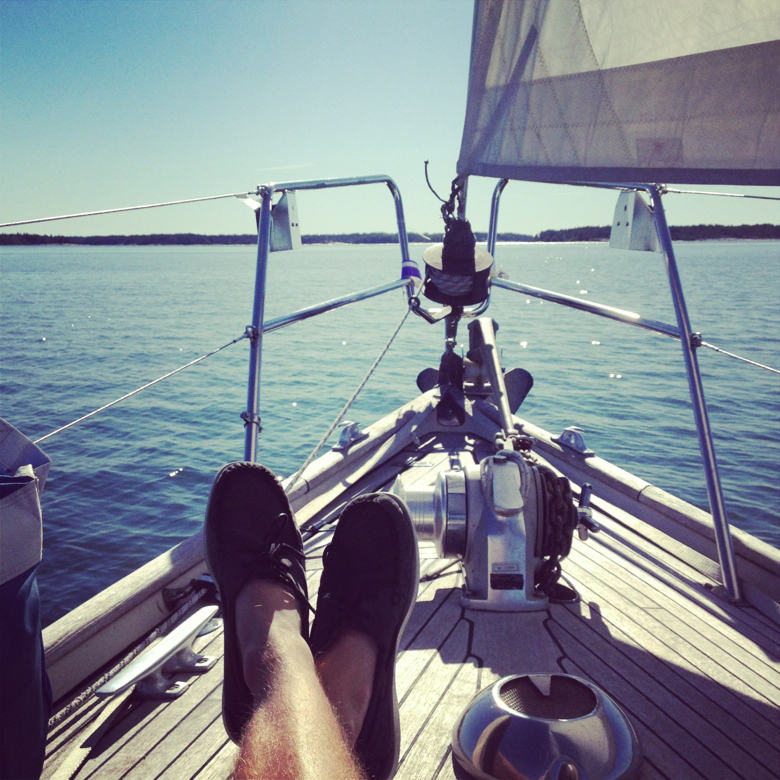 Then it was time to cast off and start the long leg back home across the quiet Archipelago. The weather continued to be as great as it had been during the weekend and it was really hard to believe that it was almost September. It felt more like normal July weather. So you had much better winds later in the evening on Saturday. We left early in the morning from Kustavi Vuosnainen harbour to Isokari and there was no wind. So we were had to go by engine. Happily the archipelago looked amazingly beautiful in calm and sunny weather! 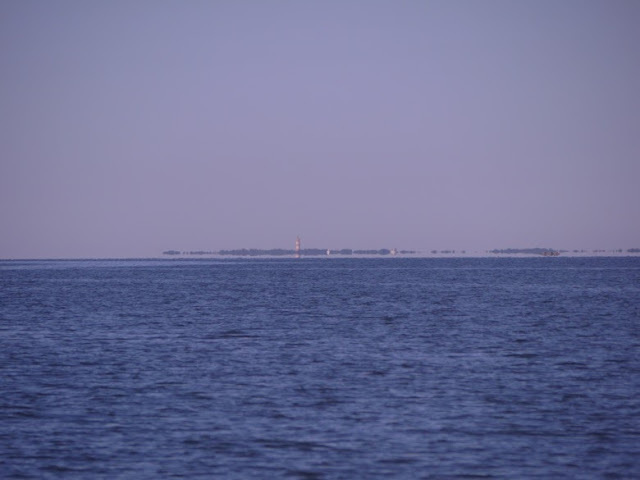 Thanks, likewise compliments on great photos from Isokari on your blog! Yes, we were positively surprised of the good wind later on Saturday, although it was headwind. The northwesterly wind rose around 2 pm, and it veered later in the evening towards north. The course to Uki is mostly NE so we could sail almost all the way to Uki. Juuri viikko sitten itse olimme näillä huudeilla. 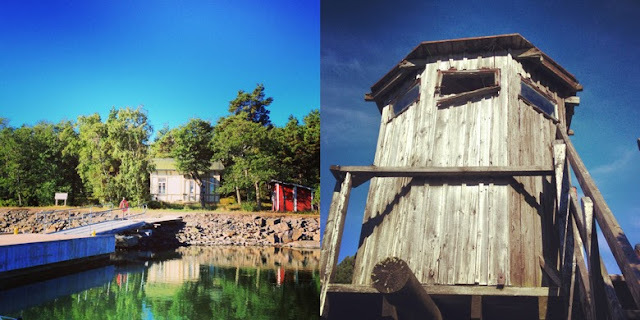 Merimasku - Uusikaupunki - Lootholma, Kustavi - Merimasku. Näistä löytyykin postaukset blogissamme. 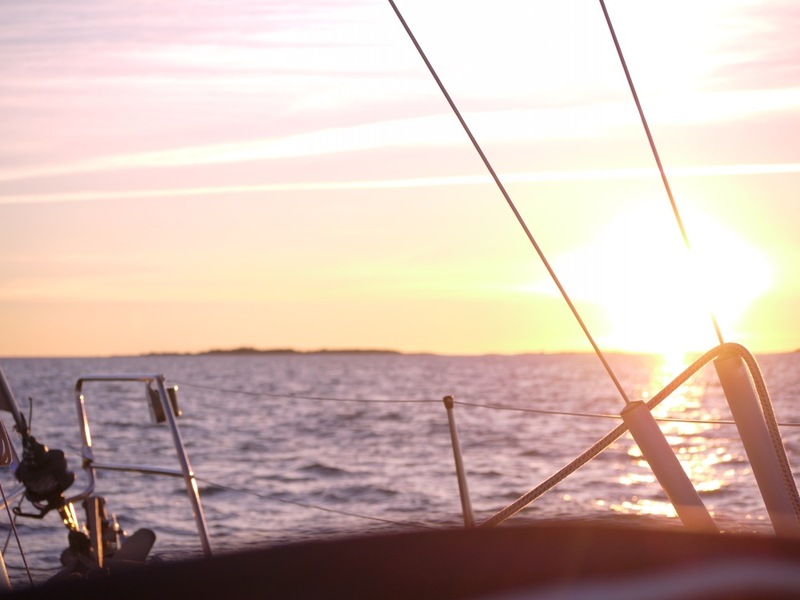 Time flies when you are having fun – we have enjoyed sailing our beloved Hallberg-Rassy 29 “Dolphin Dance” for eight seasons since 2010. 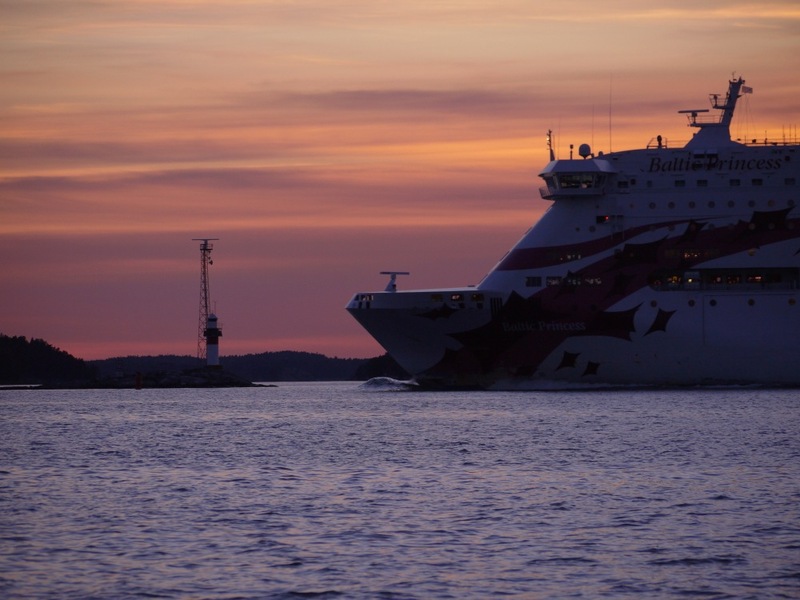 She has always taken a good care of us on our trips to Norway, Swedish West Coast, Denmark, The High Coast (Höga Kusten), Estonia, Stockholm Archipelago, Mälaren, Åland Islands and on our home waters in Finland. When I was a kid, one of my favourite hobbies in summer was to cycle to a local harbour to check out the boats, that were mooring there. 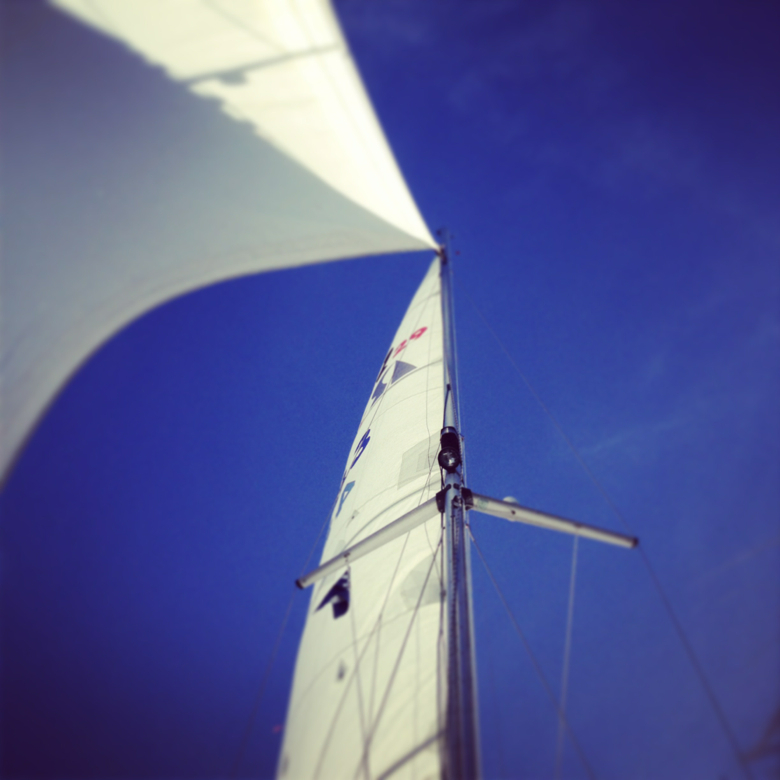 I was especially fond of sailing yachts that looked capable of handling the most demanding offshore conditions. I was also a keen reader of boating magazines and sailing books, and many of these were dog-eared from heavy usage. 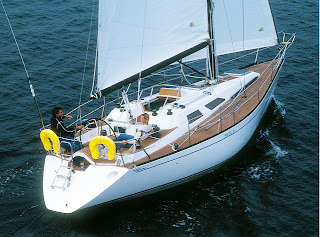 Once I happened to come across an article on the Swan 40 (Germán Frers' -design), which became my ultimate dream boat. Not too much has changed in twenty years, since I still love to check out sail boats in the harbours and boat shows or read about them on magazines, books and blogs. However, the criteria for the 'perfect boat' has perhaps evolved a bit during these years. For example, I still consider the Swan 40 a great yacht, but I wouldn't consider her an optimal choice for shorthanded sailing. Especially, if taking into account the price and yearly maintenance costs. 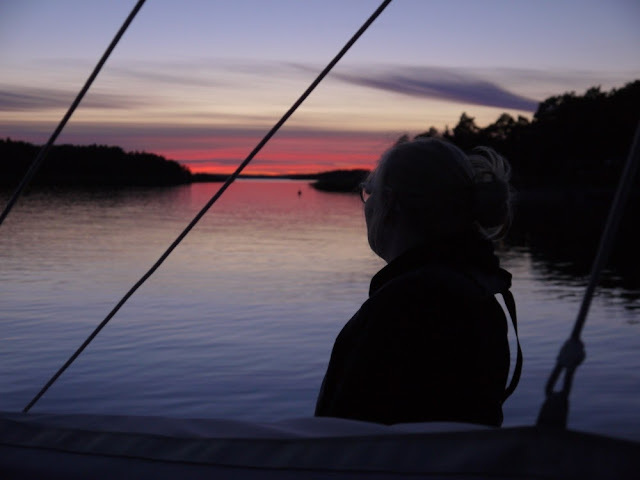 On Friday evening we left Lillesand and took a course towards Denmark. On the coast of Norway there was strong SW-going current which pushed us too much south. The wind and the current eased during the evening and we motored about three hours in quite large swell. Later, around 10 pm, the wind changed to SW and increased so we could start sailing again. 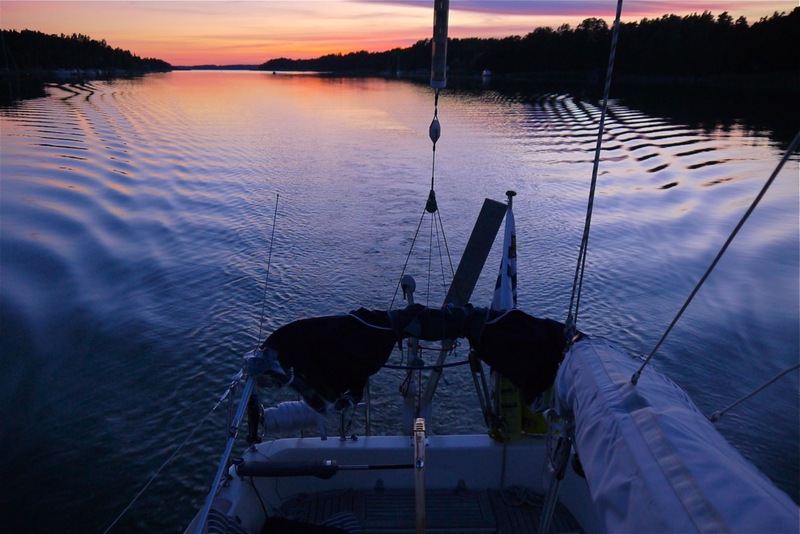 However, we decided to reef the main sail for the night just in case, but the wind stayed around 6-10 m/s and we were able to sail comfortably through the night. 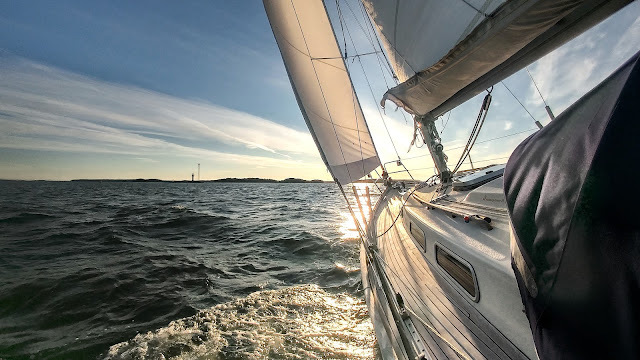 Following day, the wind increased to about 13 m/s and the final part from the northern tip of Denmark to Skagen harbour was motoring against strong wind and current.